Audio Notes (Adam): Final matrix is a 50/50 mix of the two sources. No need to use my own DPA source as geordy's turned out quite well. I like what the cardioid source adds to the midrange and highend of the overall mix. Glad geordy talked me into making it to this show (my 42nd TOOL show) considering I had admittedly grown quite jaded with TOOL's live show over the past few years. Also nice to finally strike one more song off of the list of TOOL songs I've never heard live (Intolerance). Enjoy! 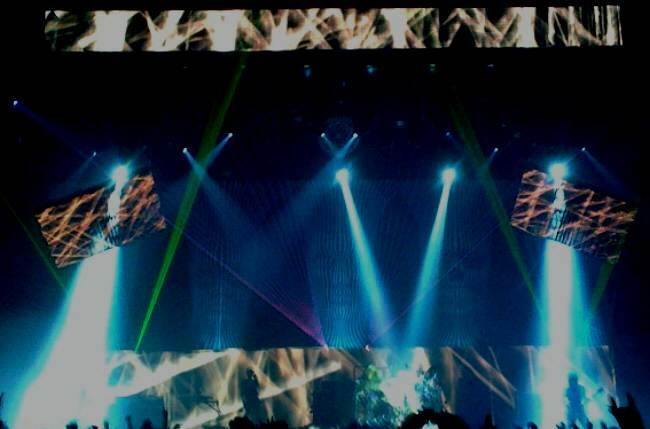 Notes: Not only is this the only known, full video recording of Tool from the mini tour 2010, it is also the debut performance of the tour. And, for the most part, this video is both complete and surprisingly steady. Excellent filming job, quite impressive, I think we can all agree. If you want to see a snapshot check out youtube under Tool 2010 New Orleans and this will come up. It seems that a ton of work went into this what with the mixing of sources, editing, etc and it shows. It really does. Great job to all involved for creating, potentially, a classic capture of Tool at what some would argue is a return to creativity (at least a little).